There's an arms race going on in this country. And by arms, I mean the stalks on which leafy greens grow (those are still arms, right?). It seems like every time you refresh your homepage, some new green is being touted as a paragon of healthiness and a cure-all for whatever spiritual ills ail you. People are naming their pets -- and their children -- Kale, for God's sake. People's obsession with leafy greens is hitting peak obnoxiousness, which is why we've taken on the task of ranking them from tolerable to unbearable (all while ignoring stuff like health benefits). I'd call this a roast, but I don't want to make them wilt. 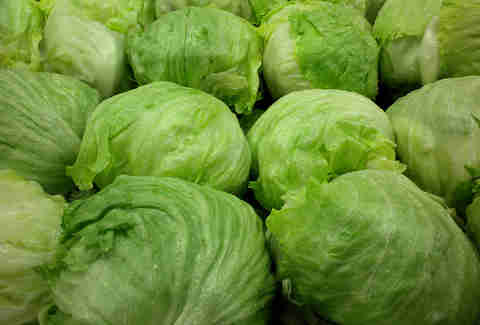 Iceberg lettuce barely qualifies as a “green,” since it’s usually more like some muted mint color, but it’s still a plant, no matter how unsaturated its hue is. It’s got a higher water content than any other type of lettuce (you can almost predict the rest of this list based on texture and “mouthfeel” -- the more difficult to ingest, the better! ), and is the most overrepresented of all of these greens in our nation’s fast-food burgers, wraps, and assorted other sandwiches. Ergo: not obnoxious. Talk about a career of highs and lows: spinach started off as one of the rough-and-tumble heroes of the green world, propelling Popeye to borderline-steroidal heights and inspiring a generation of kids to actually eat their vegetables. Then it got co-opted decades later by peeps who decried the lack of variety in our nation’s salads and turned it into a perpetual partner of blue cheese, artisanal nuts, and raspberry vinaigrette. Since then, it’s returned, all but forgotten, to the (almost) bottom of the obnoxiousness totem pole as our eyes have turned to hipper greens with fewer vitamins (we get it, spinach, you’re healthy). Romaine lettuce would almost undoubtedly have nabbed the second-to-last spot were it not for its occasional usage in grilled Caesar salads (so European, kinda!). Still, you don’t hear anyone talking about how novel it is anymore -- it’s good for maybe one or two standbys, but at its heart, it’s just a slightly sturdier, greener iceberg. I don’t care how many names you go by. You can’t escape the fact that you’re still lettuce. But you’re definitely the trendiest. 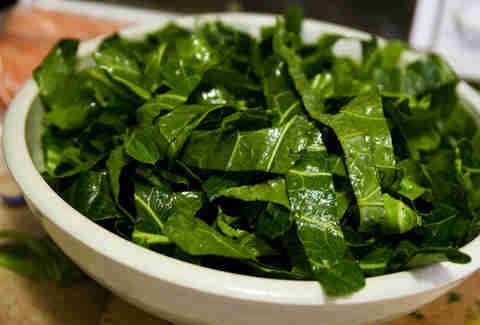 Collard greens are some of the most comforting greens that exist. They’re a staple of many world cuisines and down-home Southern cooking, which would be great and totally unobnoxious except for the unfortunate fact that Southern cooking is all gussied up and fancy now, and people are attempting to corrupt them with fancy finishing salts and bone broth. In the end, it all kinda evens out. 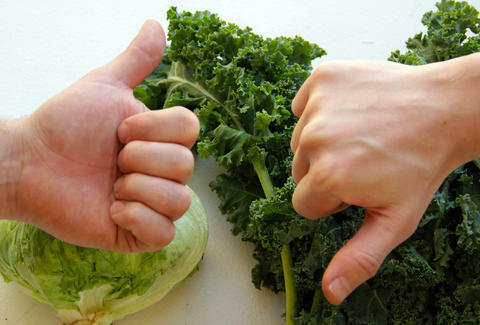 Like collard greens, but not as tasty, and therefore in need of bridging the accessibility gap by making people think their bitterness is beneficial. 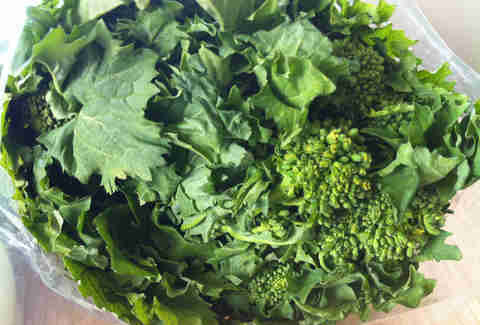 Have you heard of mizuna? Nope. It’s still underground, which simultaneously makes it hard to rank and a hipster’s dream come true. 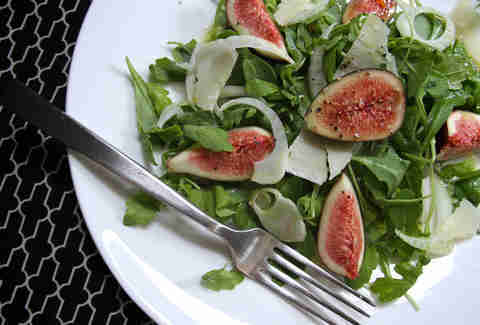 British people call arugula “rocket,” which is pretty cool. It’s safe to say that arugula’s heyday has come and gone, and while there was definitely a time in which it was the one green everyone just had to have on their salad menu somewhere, it’s now been relegated to a supporting role, nestled underneath some meat dish or accompanying a fancy sandwich in lieu of fries, with little to no dressing. You kinda feel sorry for it, but at least it’s got enough character to stand on its own. This is one green whose reputation is all over the place -- it’s a fixture in Philadelphia’s gloriously accessible roast pork sandwiches, but also makes forays into hoity-toity Italian fare. It certainly benefits from a general lack of awareness about what makes it different from normal broccoli, which it uses to appear mysterious and urbane, kinda like the vegetable version of James Bond. And that guy didn’t even know how to order a martini properly. Mustard greens love themselves. They’re strong, loud, brash, and unabashedly shouting to the world about how healthy they are and how refined their taste is. Let’s just say you probably wouldn’t want to be stuck talking to them at a party. Remember when we all collectively rediscovered beets? Yeah, sure, they’d existed for thousands of years, but we never really looked at them until recently. And they sure did get smarmy quickly in the short window that they’ve been back -- their leaves barged in and stole pretty much all of spinach’s market share. 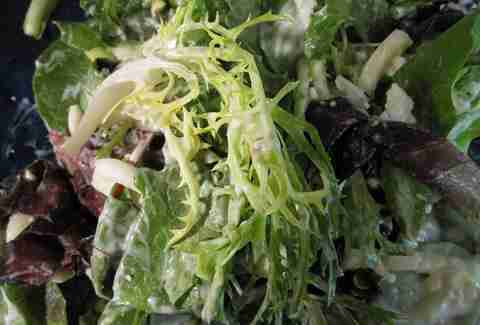 Less bitter than its close relative frisée, escarole still looks the part of an impenetrably tangled, chewy mass, and it’s highly unlikely anyone but the biggest vegetable snob would specifically request it in their salad or even know what it’s called. Doesn’t stop them from doing it, though. Oh man, did you see what we wrote about escarole? Now imagine that, but even harder to love. If there’s one green that has distinguished itself on the front of obnoxiousness, it’s kale. Hell, it’s probably highly decorated in some corps of insufferable foods. When it started replacing every green in every salad ever, we should have been worried. When people started claiming that it could cure the common cold and leprosy -- and Dr. Oz AGREED -- we should have been concerned. But we weren’t. 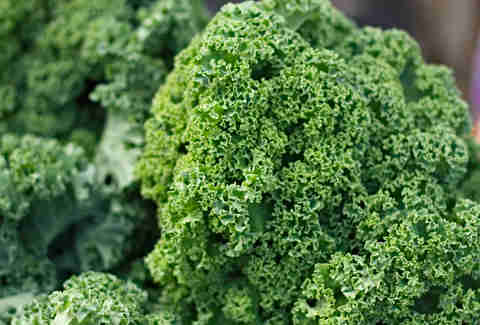 Because, as in-your-face as kale is about its benefits, it’s still relatively versatile. And it tastes good. Does that mean naming your kid Kale is OK? No. You’re just playing into its hands at this point. 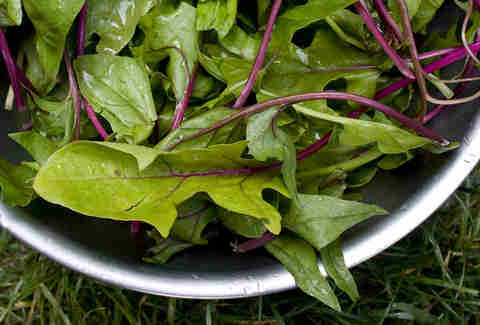 Dandelion greens are the kale of the farm-to-table movement. Just writing that last sentence made me shudder. Ah, chard. No, I didn’t just sneeze. 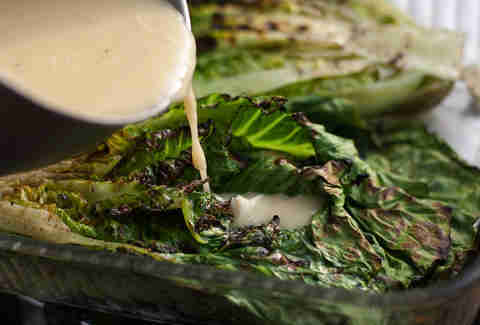 As good as chard is for you, its public persona is toxically intolerable. 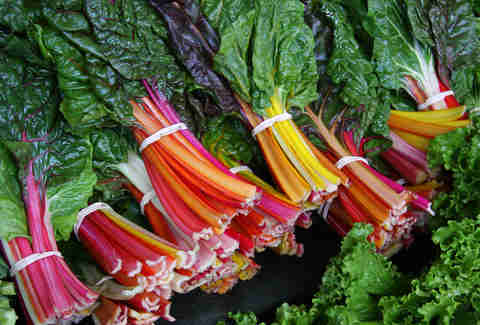 A couple of facts you need to know about chard: 1) it was bred to the peak of healthiness by Mediterraneans, people who almost make us ashamed of our burger-rich diet; 2) it comes in a variety of bright, saturated colors, only one of which is present on the American flag; 3) one of its aliases is “perpetual spinach"; 4) if you eat it, someone will invariably ask you why you're doing that. Sure, chard is nutritious. So is some dirt, probably. Stop throwing your weight around, chard -- you're making everyone else look bad. Adam Lapetina is a Food/Drink staff writer for Thrillist, and had a kale salad for lunch. Read his musings at @adamlapetina.